Appetite to Play is a provincial initiative that supports early years providers (those that work in daycare centres, family based daycares , preschools, parent participation programs, or after school day cares) to promote and encourage healthy eating and physical activity for children in the 0-5 years age group. An interactive website which includes healthy eating and physical activity self-assessment and planning tools, tips/ideas, recipes, games and activities that early years providers can use in their settings (appetitetoplay.com). The website is updated with new content on a weekly basis. 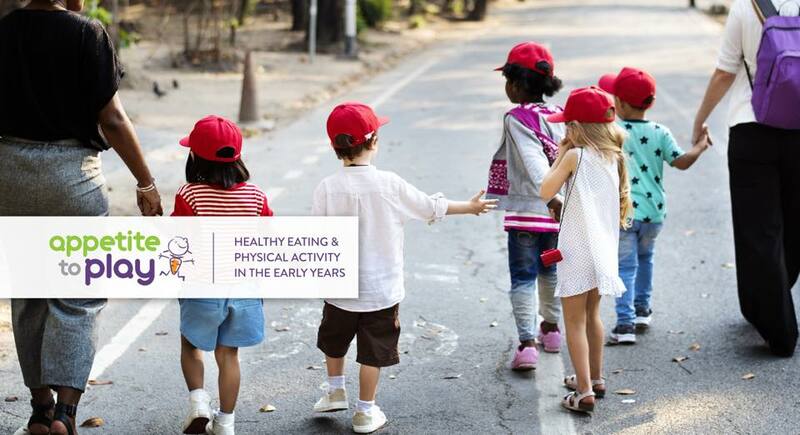 In-person and online training opportunities so that early years providers can enhance their knowledge, skills and confidence in providing environments that support healthy eating/food literacy and physical activity/physical literacy.